Dubai: It does say a lot when a niche brand puts in the sort of growth numbers that become the benchmark for its industry as a whole. The Italian luxury label Bottega Veneta is making itself heard with sales growth consistently in high double-digits and proving a stellar performer for its parent company, the €9.3 billion (Dh46.22 billion) Paris-headquartered Kering (formerly known as PPR). In doing so, Bottega Veneta, which reported first nine months sales of €724.9 million from a 14 per cent gain year-on-year, has held its own in a group that also owns Gucci and Alexander McQueen (the label was acquired by the Gucci Group in 2001 when on the verge of bankruptcy). Bottega Veneta — its portfolio extends from premium leather accessories to fragrances — does know how to turn things around. Between 2001 and 2008 it developed a committed, albeit niche, following. And once the crisis happened, it did seem as if it found the right platform for a burst of new momentum. 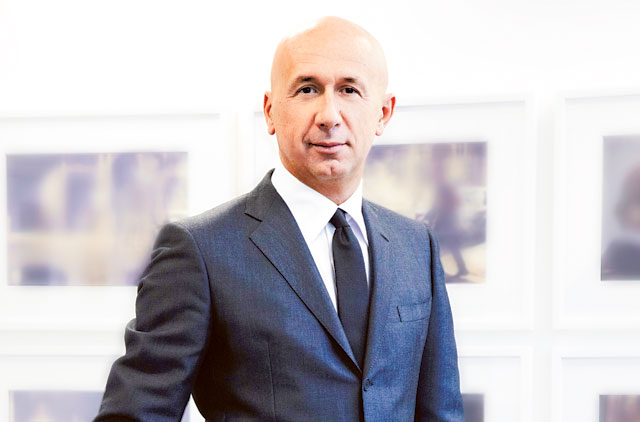 “We became the segment that was growing the fastest during the crisis as consumers started preferring high craftsmanship rather than go with fashion logos or celebrity trends,” said Marco Bizzarri, president and CEO. “When the crisis happened, customers changed completely the way they were shopping. It was Coco Chanel who said when there is a crisis, people outgrow fashion and look for timelessness. They buy less but buy better. “The momentum was behind labels that were craftsman-led, so much so it suddenly became quite crowded as all brands tried to move into this. But wouldn’t sticking to a strategy as trends change leave the brand vulnerable in future? “Not changing strategy does not mean we remain immobile or be stuck to a certain way,” said Bizzarri. “It means to be relevant in the moment you are in. “The company in 2001 is very different from what it is today as processes have changed. What did not change was the positioning of the brand with the product as the centre of any activity. The products themselves have changed but in a creative way and never led by short-term trends. As with many of the other luxury brands, Bottega Veneta is far from being only into leather accessories. Over time it has gone for line extensions that has seen it add fragrances, ready-to-wear and furniture. But doesn’t adding to the product range come with the attendant risk that branding might get diluted? “We have been able to link all products under an umbrella and with a consistent theme,” said Bizzarri. “That is not by chance and we do not license everything. And even on those we do license we have full control of image, the creative process and distribution. All our contracts are crystal-clear on this and there is no compromise.